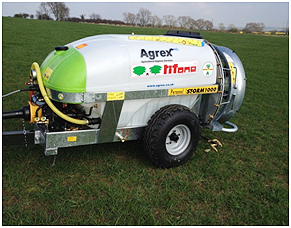 Agrex Limited have recently invested in the Cobra 2000 and Storm 1000 orchard sprayers. Both machines are very versatile and can access all poultry units as both machines are based on a low level base structure making for easy access too all areas of the units with their excellent manoeuvre and steering capability. 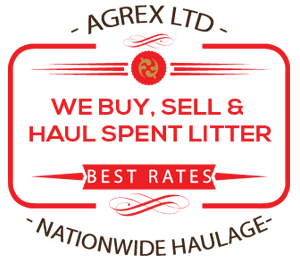 Other benefits are it as a two thousand and one thousand litre water holding tanks. This is useful for disinfectant programs. 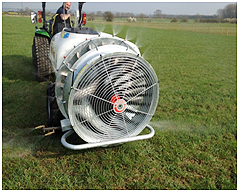 Also,with the Cobra 2000 having an on board computer the amounts required to each specified unit can be pre-set to guarantee maximum coverage with one complete pass of each section of that unit. 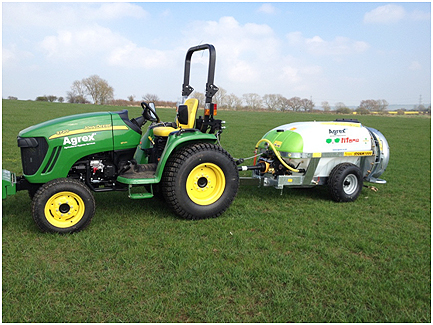 The Cobra and Storm both operate by a fan controlled and a propelled spray boom this gives an all around coverage of the working area with an under the body mounted floor spraying unit. 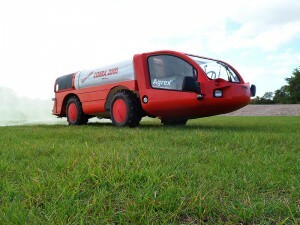 Other benefits are it has a two thousand and one thousand litre water holding tanks. This is useful for disinfectant programs. Further benefits with the Cobra 2000 machine the unit as an enclosed cab protecting the driver from the machines particles. Also the machine as taken the manual application from the operative thus reducing the health and safety risk to them. The Storm 1000 is tractor operated for the operation. 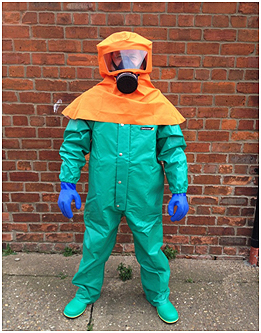 For this we kit out the operative with a full chemical protection suit for maximum protection. Complete your name and email to receive your free Brochure download.